Louisiana State University (LSU) Tigers turned the tables on Southeastern Conference (SEC) rivals in the March 15 finale of the 2014 NCAA Division I Indoor Track and Field Championships as they stormed to victory in the men’s 4x400m relay final at the Albuquerque Convention Center. 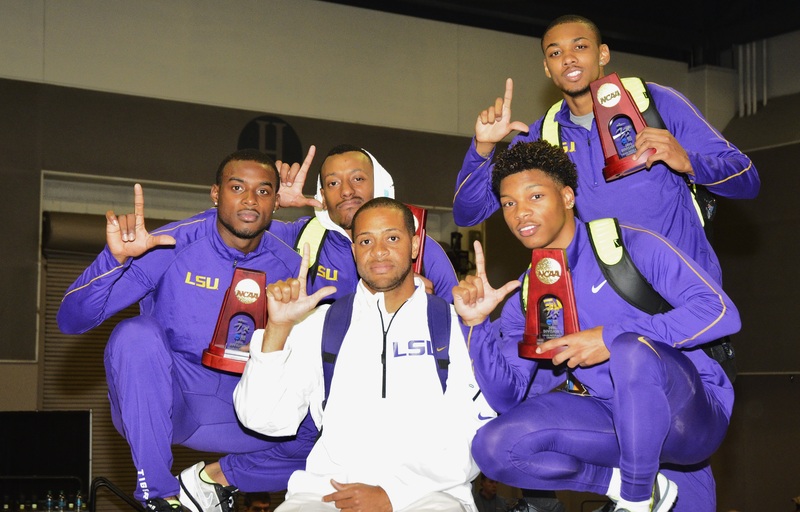 The Tigers snapped an eight-year drought, being crowned the NCAA Indoor champions in the mile relay for the first time since 2006 with their fourth NCAA Indoor title in the event all-time. They also extended an impressive streak as the Tigers and Lady Tigers have combined to win at least one NCAA Indoor event championship in five-straight seasons dating back to 2010. Running the team of sophomore Darrell Bush, junior Quincy Downing, sophomore Cyril Grayson and junior Vernon Norwood, the Tigers led from the break in the third finals heat and crossed the finish line first with a time of 3mins, 4.10secs to finish ahead of their Arkansas, Florida and Texas A&M in the race to avenge their third-place finish at the SEC Indoor Championships. The Tigers led wire-to-wire after Bush gave the team the lead at the break on the first leg and clocked 46.46 to hand off to Downing at the first exchange with a clear five-meter lead. 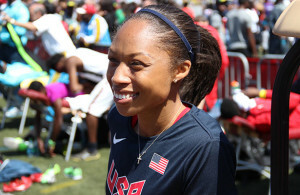 Downing brought it around in 46.03, handing off to Grayson, who clocked a 46.57-secs split on the third leg and handed off to Norwood with a 10-meters to spare. Their national championship victory capped an outstanding Saturday for the Tigers and Lady Tigers, as Norwood also scored the NCAA silver medal as the second-place finisher in the men’s 400m final, two Lady Tiger seniors bagged NCAA bronze medals with senior Jasmin Stowers taking third place in the women’s 60m hurdles, and senior Lynnika Pitts earned third place in the women’s triple jump final.